One of the most beneficial pallet storage solutions for warehouse storage is a pushback racking system. Not sure if this system is the best storage solution for your building? These 5 reasons will help you decide if installing a pushback racking system is right for you. And if you’re still not sure, S.W Betz is always here to assist you with pallet storage solutions. Maximizing your storage space is one of the most important things for your warehouse, and pushback pallet racks are the perfect means to a well-organized end. 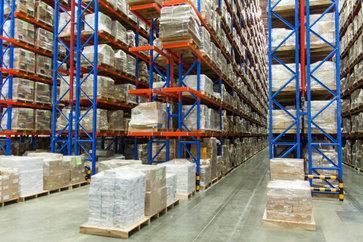 When it comes to pallet storage, a pushback racking system allows for the highest density, therefore being able to nearly triple storage capacity compared to other systems. A pushback racking system is ideal for many industries, including (but not limited to): automotive, manufacturing, pharmaceutical, food and beverage, and logistics facilities. Pallet storage options are all efficient, but the pushback racking system is one of the most efficient by being quickly loaded and unloaded in comparison to other options. A pushback racking system saves you money by taking better advantage of storage space available in your facility. When installing any pallet storage system, you want to know it’s going to last. The pushback racking system is extremely durable, so you won’t have to worry about frequent repairs or replacements. These are only a few of the reasons these systems are highly beneficial for many warehouses and facilities. There are many pallet storage systems available, and even if this one isn’t quite for you, there are plenty of excellent options available to you in Baltimore. Ready to implement a pushback racking system in your facility? Or, are you interested in other logistics options for pallet storage? Give S.W. Betz a call today! This entry was posted on Tuesday, January 5th, 2016 at 4:00 pm. Both comments and pings are currently closed.